With the government shutdown lasting for about a month, roughly 800,000 government workers have missed paychecks. For thousands of people that means missing rent, mortgage payments, food, and tuition payments. Many have turned to a second job or applied for unemployment. The financial ramifications of the shutdown could have long-lasting consequences. “Career Finder” found that 78% of US workers live paycheck to paycheck. Experts believe this shutdown may increase that number. “I don’t think that anyone anticipated the shutdown to last as long as it has. It became apparent as it was going into its third week that we probably needed to take action, that’s why we sent out that list of resources” says BC’s Provost Dr. Kristen Jones. 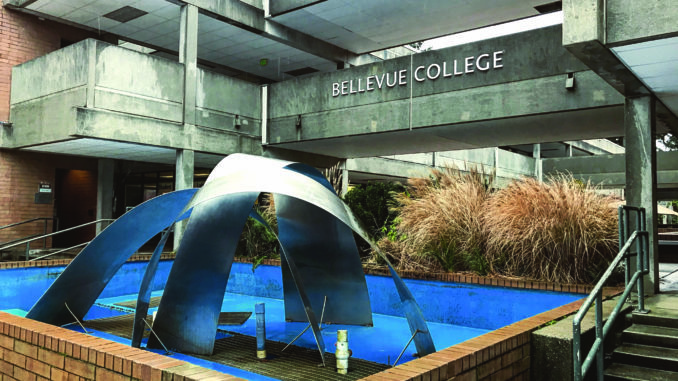 Bellevue College has partnered with programs to make sure people are getting the support they need. One of BC’s partners is with United Way of King County, which is a nonprofit organization dedicated to aiding people in unstable financial footing. Through this partnership, the Benefits Hub was established on the BC campus. The Benefits Hub is in room B-131 and provides a multitude of fiscal coaching and education. They can also help people create spending plans and effective strategies for saving money. Their strategy is to first handle the immediate crisis, and then give strategies to avoid future crises. Hopelink is another group that Bellevue College endorses. They have several different programs that can help keep people afloat. For example, they can pay someone’s rent when they get into a short term financial crisis, or provide specialized transportation. Another way to get relief from the shutdown is to visit the Workforce Education office, which is also located in B-131. Government employees can get textbook payment and tuition assistance through Workforce Education if they qualify. The office also coordinates with the Benefits Hub. On Jan. 25 2019 President Donald Trump reopened the government for the following three weeks. According to USA Today, “Government workers will return to work without damage done to their pension and sick days intact”. However, if a government employee applied for unemployment and began to receive benefits, they will have to repay what they received in full. “Because of the President’s actions, Federal workers will be paid in the coming days. To the public servants who have worked without pay and been furloughed, we thank you. To Congress, it is time to negotiate and address the humanitarian crisis on our border once and for all,” assured The White House in an official statement.